The mid-size pickup truck segment is getting more and more competitive, but the Tacoma manages to stay ahead of its competition. The sportier, yet capable tacoma is a great daily truck whether you need to tow/haul for work, or just want to get away and challenge the toughest of terrains. The Toyota Tacoma is powered by either a 2.7-Liter 4 Cylinder that produces 159 hp and 180 lb.-ft. Of torque or a larger 3.5-Liter V6 with direct injection that produces 278 hp and 265 lb.-ft of torque. The engine choice depends really on what you’re going to be using the truck for. If you need the power for Off-Roading or towing then the V6 is a great option for you, but if you just need a practical truck with great gas mileage then the 4 cylinder is a wise choice. The Tacoma’s interior was designed to be tough and refined. With an included 6.1-in. 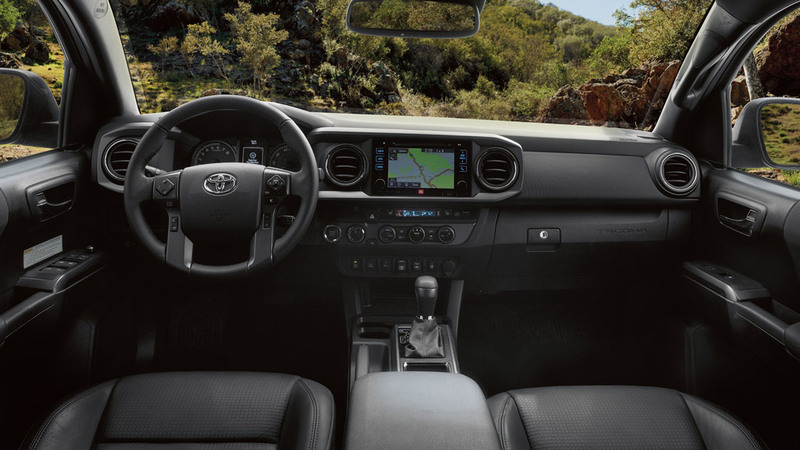 Touchscreen and optional upgraded sound, the cabin of the Tacoma is great everyday driving. You also have two different choices when it comes to cabin size depending on the amount of space you need, either the Access Cab or Double Cab. With a towing capacity of 3500 lbs on the smaller 2.7 Liter and over 6000 lbs on the V6, the Tacoma offers enough power to take whatever you need. 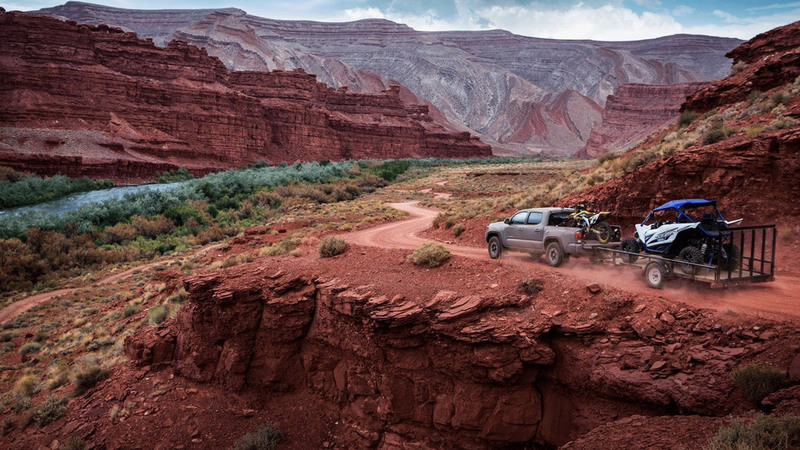 Whether you’re hauling plywood or towing a trailer with ur dirt-bikes, the Tacoma can handle it all. The bed of the Tacoma comes with a rail system that makes it easier to tie down any cargo, making sure whatever you load is safe. 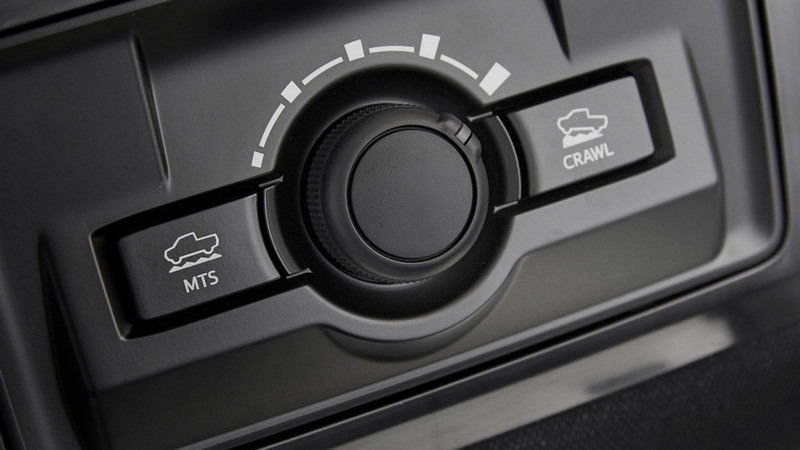 The TRD Pro comes with a Desert Air Intake, Skid plate, cat-back exhaust, Rigid Industries fog lights, TRD-tuned FOX Internal Bypass shocks, and many more exterior and interior modifications. Along with the electronically locking rear differential and powerful V6 engine, the TRD Pro package for the Toyota Tacoma is turns the Tacoma into a fully capable off road vehicle. 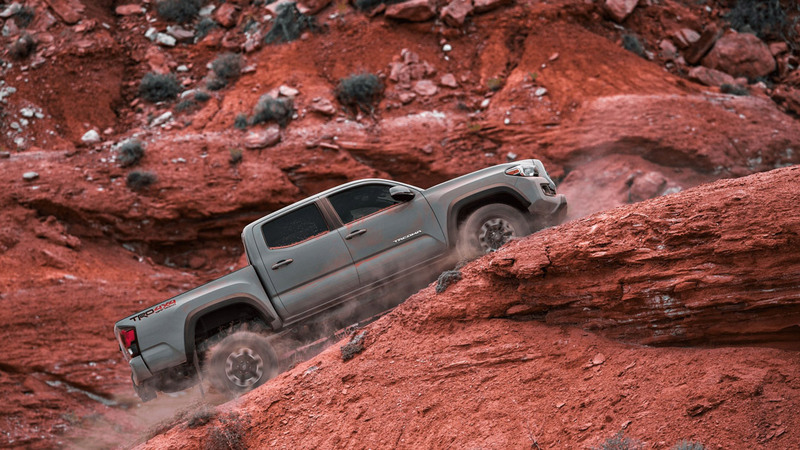 The Tacoma TRD Off-Road and TRD Pro trims come with great features that make off-roading a breeze. 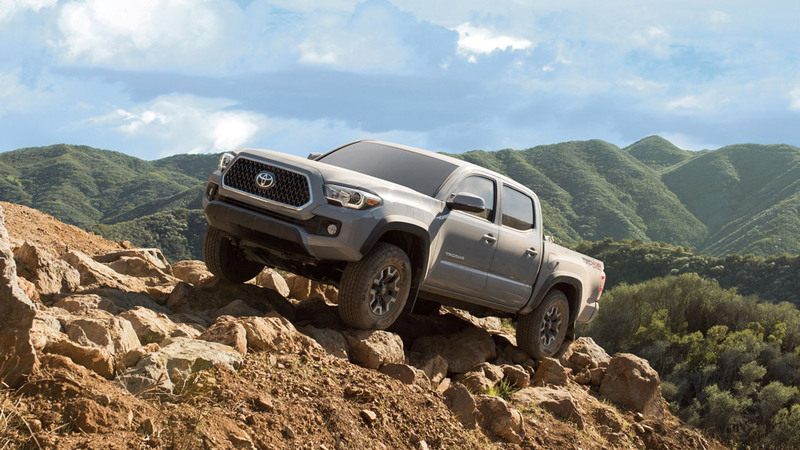 With Crawl Control, Multi Terrain select, and Hill Start Assist Control, the Tacoma off road packages are great for anyone that plans to use their Tacoma to create their own roads.